There’s much more to New Jersey than just guidos and muscle heads. Although we have MTV’s Jersey Shore to thank for painting the state in such a great light, there’s also a semi-annual magazine called Weird New Jersey that tells of the state’s creepiest places and scariest legends. Among them you’ll find haunted roads, devilish creatures, and ghostly tales. Keep reading to see 10 of New Jersey’s creepiest spots. This long stretch of forest is one of New Jersey’s most notorious landscapes. The coastal region fills seven counties in the state and is home to some of the creepiest tales. People have reported sightings of the state’s “Jersey Devil,” a creature with the head of a goat, wings of a bat, hoofed feet, and a forked tail. Wouldn’t want to get lost in this 1.1 million-acre forest! Need I say more? A name like that speaks for itself. The passageway leads to storm sewers and underground tunnels throughout the county of Passaic. Within the tunnels are seven levels of darkness, each getting closer to hell itself. It’s said that Red Eyed Mike, a spirit, guards the tunnel. So be nice if you plan on venturing in there. Known as “the most haunted house in America,” The Spy House is said to have no shortage of ghosts and paranormal activity. The building was once a popular tavern for British troops during the Revolutionary War. Five spirits have been seen here on multiple occasions, peering out the windows and definitely scaring visitors away. Famous pirate Captain Morgan was even said to have overseen tortures in the basement. The long, winding road goes through the woody region of West Milford Township and has no shortage of spooky encounters and tales. One renown story is of a young ghost who dwells under a bridge at Dead Man’s Curve. If you feel like throwing coins into the water, he’ll be right there, throwing them back at you. This drive will be the longest 10 miles of your life. Don’t go taking an axe to this tree. Legend has it that a farmer killed his wife and children and then hung himself, and anyone who tries to cut the tree down will die. Axe marks can be seen along the tree and are enough to make the stories feel like a reality. This abandoned asylum was famed for housing over 7,500 patients at a time. The most famous patient was songwriter Woody Guthrie, who suffered from Huntington’s Disease. 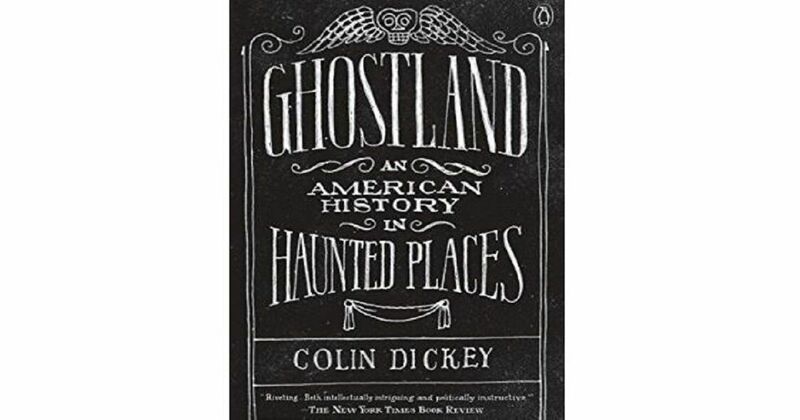 Those brave enough to visit often recount seeing ghosts and apparitions, and say they felt as if they were being watched. Years ago, snakes were found in abundance in this area of Secaucus, thus the name. A psychiatric hospital once stood on the hilltop from 1873 to to 1939. It breached its 140-person capacity, holding 1,872 people at a time. In the hospital’s place now looms a massive rock that sits on top of an old burial ground that was exhumed in the 1970s. What’s in a name? Well, Shades of Death seems to be enough to keep a person away. The seven-mile road is located near Hope Township in Warren County, and most residents keep their distance. Legend has it that wildcats used to roam the street and even mutilated and killed those who first settled in the town. The tower was built by Manuel Rionda for his wife in 1910. Not only does it have a view of New York City now, but it also once gave Manuel’s wife a wonderful view of him hooking up with another woman. Devastated and angry, the betrayed woman jumped down to her death. The old house was once home to James Allaire. On various occasions, visitors have reported seeing his ghost dressed in a funeral suit and top hat, mourning his wife, Frances, who died in 1832 from cholera. Another spirit, Hal Allaire, has also been seen lifting objects in the house and playing with candles.